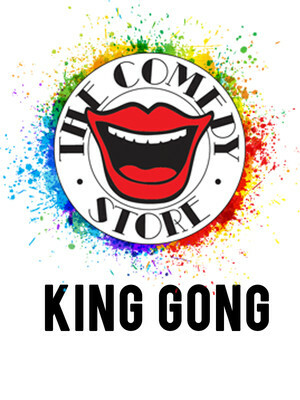 As much an institution as the smiling mouth logo of the Comedy Store itself, the gong has long held its sway over up and coming young go-getters. Comedian such as Alexi Sayle, Paul Merton, Jo Brand and many more have offered themselves up for judgement in the past, proving that if you can beat it's clanging tone, you might just have seen the birth of the next big thing! Please note, shows begin at 8pm on the last Monday of the month. Due to heightened security, please arrive early so bag searches can be conducted without delay to the fun. Seen King Gong? Loved it? Hated it? Sound good to you? 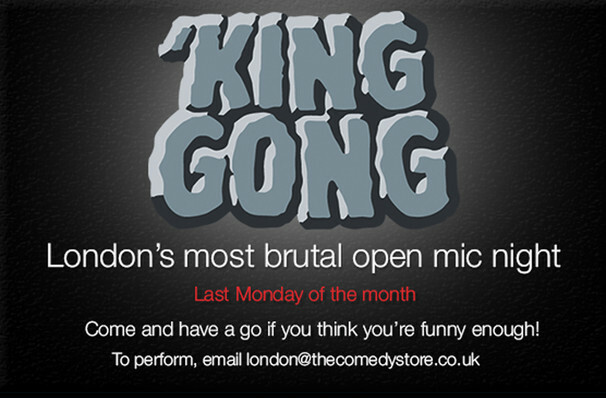 Share this page on social media and let your friends know about King Gong at The Comedy Store.